On February 8, 1994, John Paul II wrote what he called “A Meditation on Givenness.” This meditation deserves to be better known—indeed, to be contemplated and studied—for at least three reasons. The first and most decisive is the sheer importance of the work. Anyone familiar with the thought of the late pope will find, in reading the meditation, that it gathers together in a singularly dense way a number of themes that are dear to John Paul II: an anthropology of gift, the nature of human love, shame, the communion of persons, sexual difference, God as the mediator of human relationships, the theology of the body, etc. 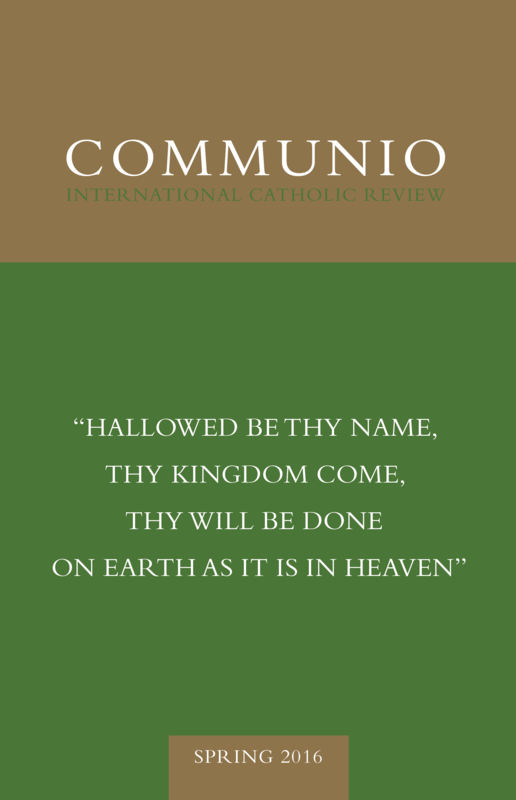 The reader will find many of the pope’s key references as well: Genesis 1–2 and the text from Gaudium et spes 24, for example (which, together with Gaudium et spes 22, was the conciliar text most cited by John Paul II). These themes and texts, moreover, are not simply gathered in one place, but are bound together in an original intuition of singular power, which we will analyze below. The meditation is more than a summary, then, more than a reprise of one of the central themes of the first cycle of the pope’s theology of the body, for example (the man of original innocence discovering beatitude and the knowledge of God through a spousal relationship with the woman given to him). Rather, the meditation presents a new and profoundly original synthesis in which the three central concepts of gift, the communion of persons, and the man-woman relationship converge and are reclaimed. Furthermore—an indicator of the text’s importance—the meditation was deemed worthy of being included in the Acta Apostolicae Sedis (AAS), which was not the case with everything that the Polish pope produced (as the difference in volume between the Insegnamenti di Giovanni Paolo II and the AAS attests). The importance of this meditation also allows us to glimpse the decisive influence on Karol Wojtyła of the Polish poet Cyprian Kamil Norwid, an artist who is renowned in his own country but still relatively unknown elsewhere. Wojtyła, who cites Norwid no fewer than five times in this text, began reading his poetry in high school and learned several of his works by heart. He once recited Norwid’s great mystical and philosophical poem Promethidion onstage, in a recitation contest in 1936, when he was only 16 years old. As pope, John Paul II referred to Norwid on several occasions, and many of the central themes that he developed were deeply indebted to the Polish poet, as he himself acknowledged with gratitude.